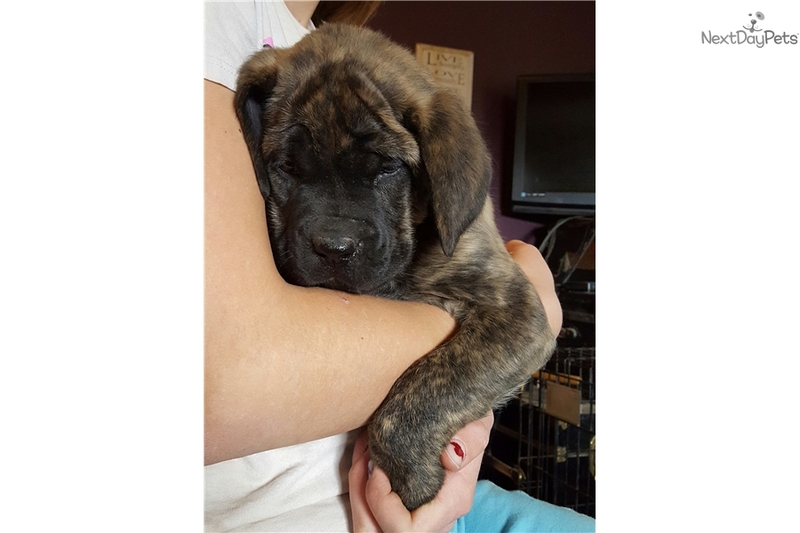 This Mastiff nicknamed Minnie sold and went to a new family. Our puppies are AKC registered, vet checked, health guaranteed. They are well socialized and ready to go home! Vaccines and worming current.